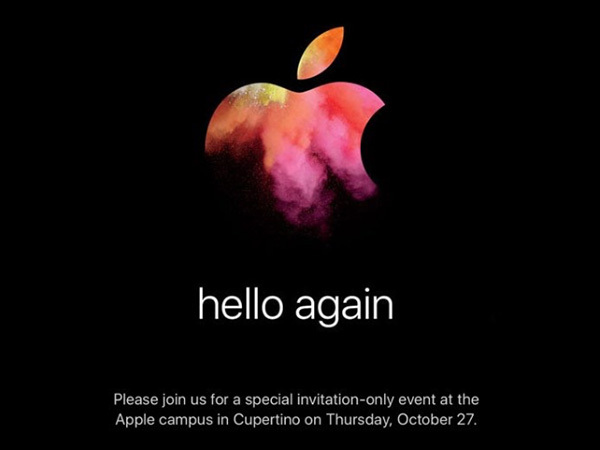 Apple is going to unveil its new range of MacBook Pro in its Cupertino head office at 10AM San Fransisco time. Watch it in India at 10PM tonight. Apple's much-anticipated invite-only press conference is just hours away to refresh the MacBook Pro lineup. The Cupertino-based tech-giant is going to unveil its new range of MacBook Pro with the Magic Toolbar mini display as well as an updated 13-inch MacBook Air today in its headquarters at 10AM (PDT) according to San Francisco time. Over the past few weeks, you might have heard and seen a lot of rumors around the upcoming range, but tonight all will be unfolded. Although it is an invitation-only event, it still can be watched online from anywhere in the world. If you are still wondering how to watch the launch, then you should probably read on. The Apple event is scheduled for 10AM (PDT) in San Francisco live. That means in India you can watch at 10:30PM in India. Such event always starts on time, so ensure you don't miss out. -> Safari browser on iPod Touch, iPhone or iPad running iOS 7 or later. -> Safari browser on a Mac running OS X 10.8.5 or later. -> Microsoft Edge browser running on Windows 10. -> Streaming on Apple TV is supported, but only on a second, third or fourth generation device running software 6.2 or later. You need to download Apple Events app in the App Store to view the event. If you don't have an iOS device, you can watch it on Android as well, but with a few tweaks. You need to Download VLC on Android or Linux. Then head to Media>Network Stream>enter the URL for the keynote. However, the URL will not be available till the event starts. So, keep an eye on Apple's Twitter handle..